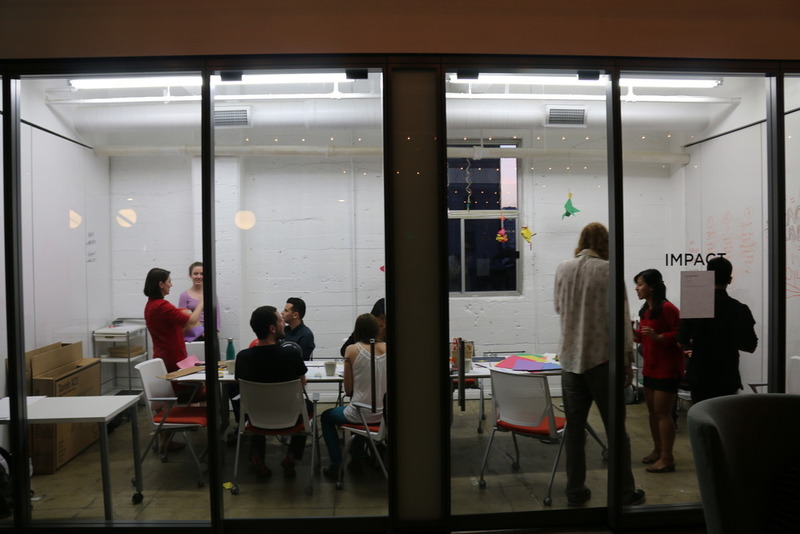 I recently co-facilitated a Design Thinking Lab — a.k.a. Ideathon — with my colleague from verynice, Marlon Fuentes. The workshop was hosted by the Center for Nonprofit Management as an amuse-bouche to their annual 501(c)onference. This 8-hour design thinking adventure with nonprofit leaders left me with some practical ideas to share about the ways facilitating can help us reach our goals. Earlier in my career I used to fluidly dance between the words facilitate and lead. I learned the important distinction between leading with your own ideas and facilitating thought, leaving me far more satisfied as a facilitator. Marlon and I created a structure and environment for the participants to learn, come up with their own new ideas, and celebrate themselves. A crisp understanding of the role can help keep you focused on “What can I do to help this team get the most from an empathy map exercise?” rather than “How can I jam a smart comment into this conversation so that I sound smart?” Facilitating is a process of inclusion and thought organization. 3. Tactile Experiences Go A Long Way! 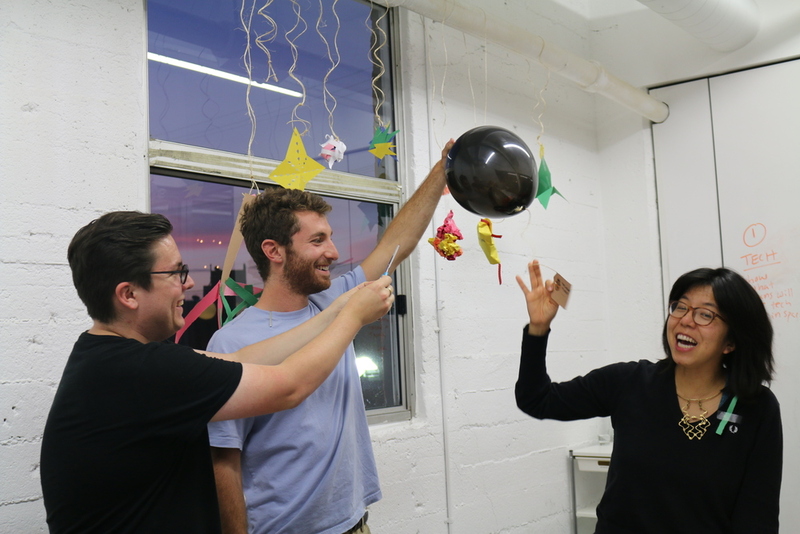 Everyone’s energy went through the roof when we did scrappy, hands-on prototyping. Earlier in the day, I saw teams shy away from drawing colorful dots and curvy lines on a journey map, let alone sketching an idea for a new product on a Post-it. Throwing out a goofy sketch of an idea that your team may criticize can be terrifying. This fear vanished once we asked people to stand up, physically move about the room, and forage for neon shoe strings, toilet paper tubes, and egg cartons. I had a nonprofit leader ask me, “Where are those LEGO action figures again?” I don’t know why this activity seriously boosted the room. Maybe it was breaking free of sitting shoulder-to-shoulder at a classic business roundtable, but I will throw active, colorful, and crafty activities into a workshop as early and often as possible. Brief and defined share outs kept the room alive. I think we’ve all been in a workshop or group discussion where listening to others share their work feels like a lifetime at the DMV. Marlon and I used a defined, fill-in-the-blank pitch statement and we asked teams to stick to it during share outs. This made for quippy, fun, safe, and competitive sharing, and a lively room to end the workshop. I believe workshop facilitation is like the board game Othello, “A minute to learn…a lifetime to master!” Marlon agrees. Whether it's a design thinking workshop that deals with large, systematic issues or effectively running a meeting, learning how to keep things inclusive, fun, and efficient can lead to breakthrough learning and discovery. Humans in Space Art (HISA) is a NASA affiliated nonprofit organization with a passion for making discussions about space available for all. They conduct global art competitions in high schools that prompt children to engage with the topic of human space exploration. High school aged children had been the only participants of these competitions until this point when HISA wanted to expand to a new demographic. HISA approached verynice to usher them through this transition period. Our process consisted of three phases of research, analysis, and testing on behalf of HISA. The first was a marketing audit of their current business model in order to find the gaps and opportunities for further development. This project also consisted of an analysis of current trends and strategies being leveraged by organizations and initiatives that follow a scope similar to HISA’s. We then conducted primary research around HISA’s business model as well as the needs and desires of the new demographic. We found that the demographic was overwhelmingly competitive, excited about space, and ready to learn more. They were not all interested in winning a prize, but rather going on a journey and having new experiences. We synthesized all our gathered information into a series of recommendations for HISA’s growth. Next we wanted to test our findings, so we thought, why not just do it ourselves! The goal of the workshop was to gauge the truth behind our recommendations for HISA’s expansion into the millennial demographic. We wanted to ensure the broad applicability of our workshop, so we approached professionals from a variety of industries. We had ten participants for the final workshop ranging from the education, nonprofit, editorial, design, fine art, retail, government, marketing/analysis and engineering sectors. We made sure that the participants showed up excited but not entirely sure what they were getting into in order to gauge each person’s initial reaction to the concepts dear to the HISA mission. 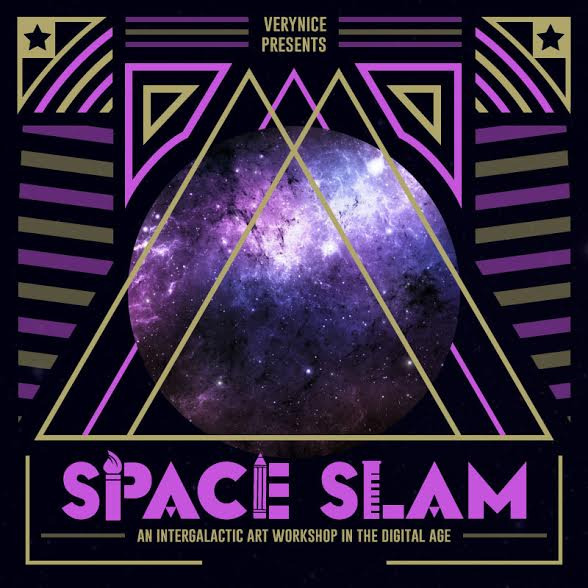 Our eclectic group or right-brainers and left-brainers latched immediately onto the ideas we presented and became excited about using art to begin this space themed dialogue. The workshop was broken up into three phases with varying levels of explicit connection to the HISA platform. 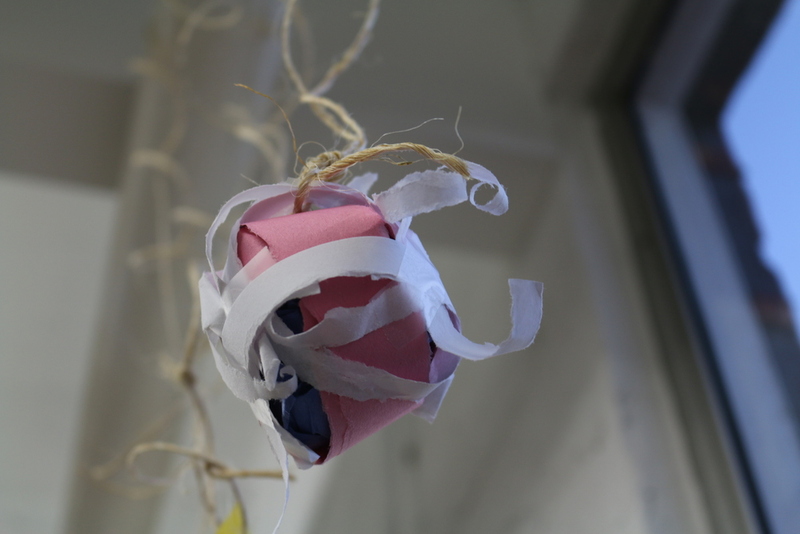 We began by asking each participant to create a “hangable” star using colored paper, tape, and scissors which we hung in the conference room to use as a tool for each participant to introduce him/herself. Everybody immediately set to work using his unique take on outer-space to show the group how they imagined stars look. This shows us the power of creativity and why creative engagement with space is so important for this demographic. The second phase was more intensive than the first. We paired up the participants and instructed them to “draw their partner in space.” Again, as we expected, we were met with a deep excitement for the topics and a creative array of responses to the question we posed. Technology—Show what humans will use science and technology to do in Space! Future—Show what space will teach us about making your community a better place. Fiction—What we haven’t found yet: Show what new things space travel and exploration will uncover! By the end of the workshop, it became clear that our research had not failed us, and that our recommendations held true. The participants were engaged and excited about the material throughout the course of the activities. They even made clear in our post-workshop brainstorm session that they were ready to further engage in the space related discussions and activities. The “right-brainers” and the “left-brainers” had different conceptions of what space meant to them, and all creatively approached the topics in different ways. Their differences were exciting, but their shared interests were the most exciting of all. They all fit the sample demographic personas we envisioned and proved to us that HISA is ready to move forward on the trajectory they hope to pursue! Learn more about our extended team for pro-bono and paid engagements. Stay updated about our work, events, and community. Fill out our brief questionnaire so we can get started. verynice is one word, all lowercase, with no period and no capitalization, if you were wondering.